The movie documentary, the Healing Appetite, will accurately show the possibility of the human body to heal itself offered the appropriate set of conditions. 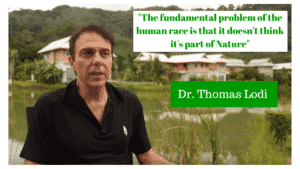 In the opening of this wonderful movie Dr. Thomas Lodi quoted as saying “the issue with the human race is that it doesn’t think its part of nature”. We need to change this way of thinking as it’s incredibly destructive. Dr. Lodi is featured as one of the lead experts in among one of the most eye-opening films of the year. The motion picture tracks the transformational quest of 10 individuals with various health conditions that finished the globe’s most effective detoxification program executed by the well-known nutritionist, Amanda Hamilton. The motion picture includes the globe’s leading experts in health being interviewed demonstrating the power the body has where it can heal itself when provided the right set of conditions. See individuals that wish to get over excessive weight, anxiety, skin issues, as well as other ailments. Enjoy interviews where specialists discuss exercise regimens, cancer, health, and living based on our biological requirements. The Healing Appetite will be launching very soon! See the official trailer here. This film documentary likewise reveals by readjusting your lifestyle and also what you eat that you could turn around disease. Disease is the absence of health so by hopping on a path to health, what is labeled as disease will disappear. The massive diet as well as weight-loss industries are based on lies as well as deception and they are profiting heavily from your demise. This movie will certainly assist you in navigating through all the deception and also give you clear instructions towards a course of true health. It will additionally talk about why people are constantly sick and also the steps to end up being a healthy individual. It will speak about just how all of us can survive without doctors, drugs and therapy. So, who is behind the making of The Healing Appetite, it’s a firm called LifeCo. They have a lifestyle transformation program similar to ours at An Oasis Of Healing. Our transformation program is “Stop Making Cancer” and it has three steps. Step one is to teach our patients how to stop making cancer. Step two, we target and eliminate cancer and step three, we restore balance and enhance the immune system. Our immune system has two jobs, the department of defense and the department of maintenance. If the department of maintenance is overwhelmed, the department of defense has very little resources left to help. We have a love for holistic health as our main inspiration is towards healing and placing a smile on individuals’s faces. Individuals of this earth have actually been exposed to more toxic substances in the past 50 years compared to all the generations combined before us. It’s time you learned the best ways to navigate through all this craziness. I do wish you put in the time to view the trailer and get gain access to so when the movie premieres you are the very first to see it and share it with as many people you care about as possible. Along with Dr. Lodi being among the featured specialists being interviewed, you will likewise see Andrea Lambert, Vince Stark, Bedreddin Ulusoy, Amanda Hamilton and Anjeza Sulaj.